Smiles on Northern (Glendale) - Book Appointment Online! Our excellent service, friendly team and state-of-the art facility ensure you will receive the high quality, personalized dental care you need and deserve. 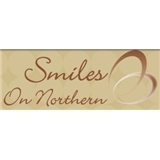 Thank you for choosing Smiles on Northern as your dental home!